While reading one of my favorite design blogs, Design*Sponge, I came across quite a lovely new site, ink & peat home + floral, a lifestyle store. 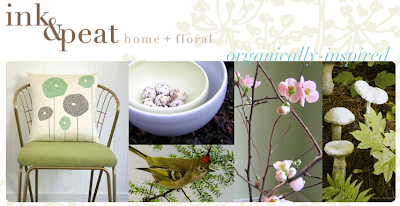 ink & peat offers fresh custom floral designs and plants as well organic, vintage, even modern accessories for your home. The site's inspiring pictures make you want to plant your own flower garden - even if you do live in small apartment in the middle of a big city like LA. 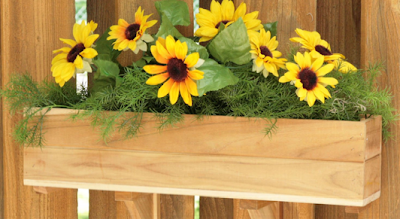 One fun way to make your own city garden is the good 'ole flower box. 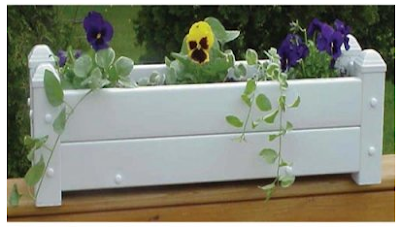 Affordable and adorable, flower boxes come in a range of sizes and allow you to colorfully display flowers and plants. Pick your accent colors and have fun! 0 Responses to "NATURE + STLYE: Try a flower box or two"